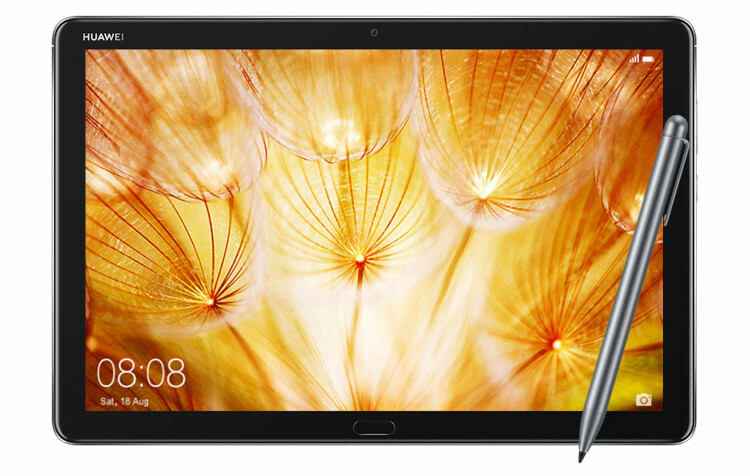 Huawei recently released the MediaPad M5 Lite in the US for $299 and it looks like a good tablet for reading and productivity with a high resolution screen and included stylus pen, plus it has some kid-friendly features. The tablet has a 10.1-inch FHD display with a resolution of 1920 x 1200, and it has five eye-comfort modes to help reduce blue light and it provides warnings if the screen is being used to close to your child’s face. It has a 2.4GHz quad-core processor with 32GB of storage space, 3GB of RAM, and there’s a memory card slot for up to 256GB of additional storage space. Battery life is an impressive 13 hours with its 7500 mAh battery. The MediaPad M5 Lite comes with a Huawei M-Pen lite stylus, which supports 2048 levels of pressure sensitivity. It also has a fingerprint sensor, 8MP front and rear cameras, 4 speakers, a USB-C port, headphone jack, and an aluminum exterior. It runs Android 8.0 Oreo and features Huawei’s Emotion UI, which includes a Kids Corner with a kid-friendly interface and apps that kids can access with their fingerprint, while restricting access to the main UI with a passcode. All in all it looks like a decent Android alternative to the 2018 iPad, and it’s nice to have the stylus included and the option for expandable storage.